The same great Rod's Food with even more greens! 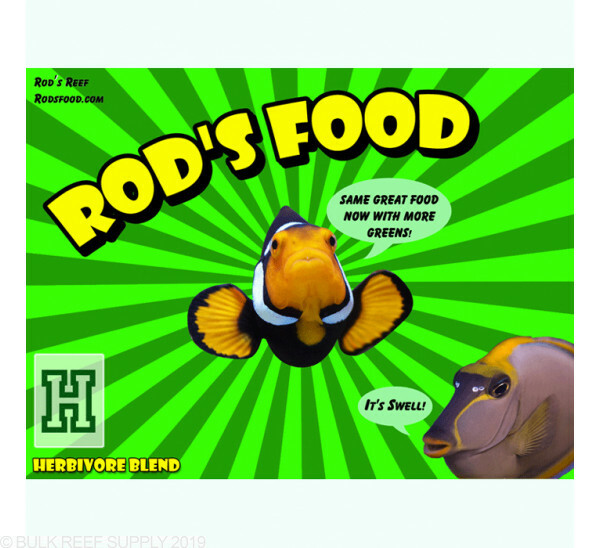 Great for tanks with multiple herbivores, like tangs, rabbitfish, and blennies. 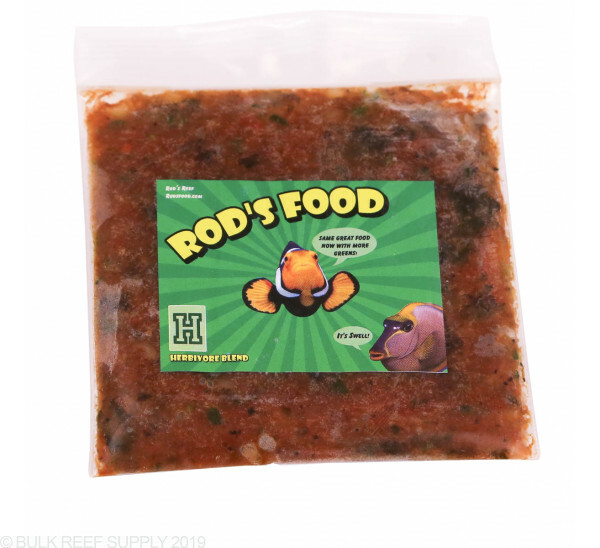 Rod's Original Blend has been on the market for numerous years fulfilling the nutrient needs of fish and corals the world around. Now you can get it the food that many reefers have trusted throughout the years with even more algae. Many animals in the ocean will naturally graze on algae throughout the day and by using a food that has a high algae content will help benefit the overall health of your aquariums inhabitants. 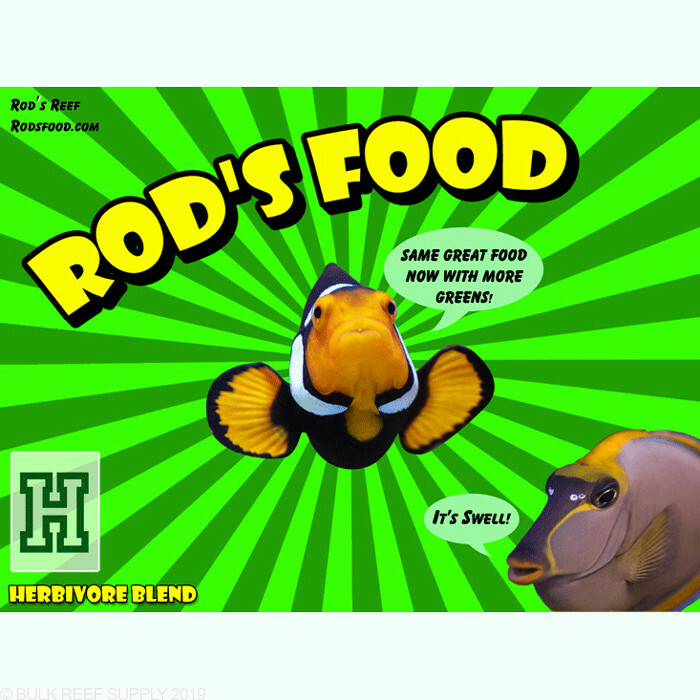 For fish, corals, and invertebrates Rod's Herbivore Blend is one of the best all-around foods on the market. If you keep tangs, rabbitfish, or blennies this food should be in your arsenal. Fish - It is suggested to feed 2-3 times daily in small amounts that your fish can consume within 3-5 minutes. By thawing a small portion in a cup of tank water, once it is thawed pour into a high flow area. Coral - It is suggested to feed 1-2 times a week in small amounts through broadcast feeding. By thawing a small portion in a cup of tank water, once it has thawed pour into a high flow area. Once the food is completely dispersed it is recommended to turn off any return pumps or circulation pumps, allowing your corals to consume what it has caught. Ingredients - Whole shrimp, whole squid, whole oyster, whole clam, whole octopus, perch, scallop, krill, Pacific plankton (like mysis but from the ocean), brine shrimp, fish eggs, green seaweed, red seaweed (raw), purple seaweed (raw), spinach, brocolli, carrot, mini-pellets, baby brine shrimp, rotifers, astaxanthin, beta-carotene, omega-3 fatty acids (DHA), and garlic. 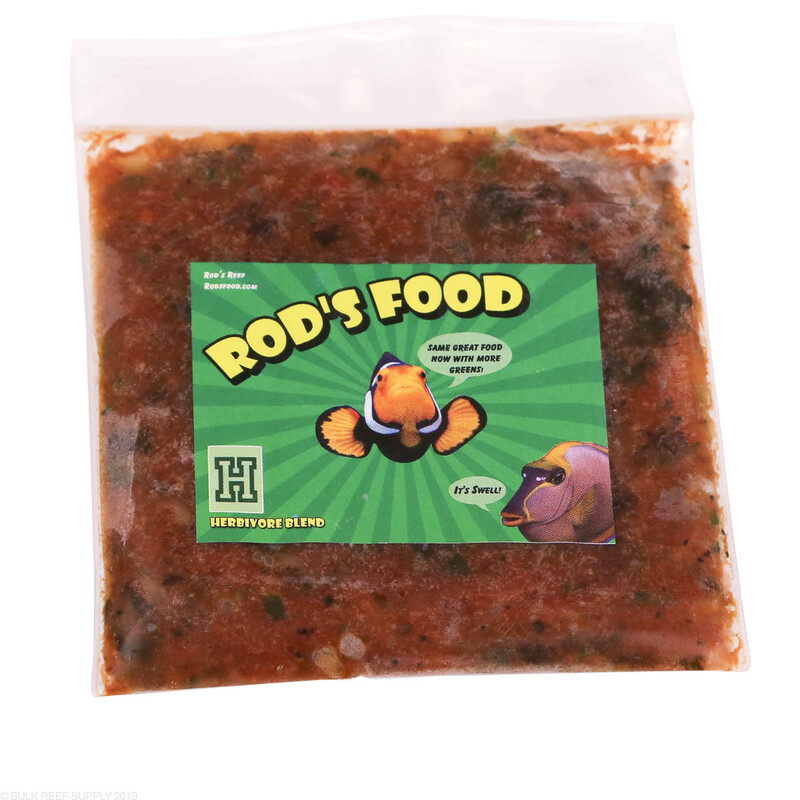 Rods Food is the best on the market! Feed this to fish and corals. A feed "all-in-one" fish food.